Selection accidents with webcams project "Videoprobki". At the crossroad street Saksaganskogo and Gorkogo webcam project "Videoprobki" observed car crash. Car moving on the street Saksaganskogo tried to slip on forbidding traffic signal and as a result he crashed at high speed Porsche Cayenne, which was moving on the Gorkogo street. Remind drivers to adhere to traffic rules when traveling intersections. We encourage you to watch the video archive of accidents, not to repeat the mistakes of others. At the intersection of Ave. General Vatutin and Blvd. Perov webcam "Videoprobki" fixed serious crash. When all the cars were on the red light, one of them wanted to cross the intersection. An attempt was unsuccessful - to he crashed at high speed pickup, which was moving along the avenue of General Vatutin. Remind drivers to observe traffic rules at intersections. We recommend that you watch the video archive of accidents, not to repeat the mistakes of others. In the rain on the Avenue of Akademika Palladina a traffic accident occurred. Ignoring the wet and slippery road, the route of «Bogdan» quickly rushes along the Avenue. One direction of rotation and the bus skidded on the wet road. Originaly Bogdan sharply veered across the movement (in the course of it crashed into the a trench breaker and a passenger car). And up to a full stop, he still five meters drove sideways forward. Drivers, be very careful and cautious when driving in adverse weather conditions, steadily observe the speed mode, a safe distance and the rules of maneuvering. If the need arises to stop, the rate of decrease gradually. At the stop turn on the roadside. The drivers! Don't forget that depends on you, not only your life, but the lives of others on the road. Events this road was recorded webcam project "videoprobki" on the street. Kaisarova. Moving in the same direction with the street Kirovogradska on Street Kaisarova clash KAMAZ and vehicles. Car tried to overtake a truck, but he himself was hit in the side. Many car drivers do not know that freight transport right front side is "blind zone". Recommend to look video archive of accidents that would not repeat the mistakes of others. Moving on South Bridge in the direction of the left bank faced three cars. Red car, for unknown reasons, suddenly rammed into the side car, which was moving next. After the collision, the cars thrown to the rumble strips in different directions. And culprit hit another car that was moving behind. From the powerful impact is injured people. This crash recorded webcam № 107 project "Videoprobki." On the street Melnikova was a serious collision between two cars. 1st car, very fast, moving in the direction of the street. Dorogozhitskaya. The driver of the car, violating several rules of the road, made a head-on collision with a car that was moving toward him. Why is the driver not missed a 2-d car and did a turn on the street Dorogozhytska will figure out the investigation. We encourage you to watch video archive of accidents that would not repeat others' mistakes. Night in an empty intersection collided of two cars. At night when the roads free movement found many violations of road rules. On the square Slavy such violators have not escaped the collision. In a car that went from the street. Suvorov crashed into a car that was moving on the street. Ivan Mazepa. Remind drivers to observe traffic rules at intersections. Violating traffic rules, you endanger not only themselves but other road users. Andriy Shevchenko got in an accident after the match, "Ukraine-Sweden"
The accident occurred at the intersection of Chervonoarmiiska street and the street Pavla Skoropadskoho. Top scorer and team captain of national football team, Andriy Shevchenko after a victorious match "Ukraine-Sweden" back home. Moving along the street Chervonoarmiiska on its "Porsche" returning to the street Pavla Skoropadskoho stopped before the crossing to miss the fans. At this point in his car crashed into a car, which moved for him. Fortunately, this accident no one was hurt. This camera recorded the accident № 124 and № 125 of "Videoprobki"
Accident happened at the crossroads Gorky street and Zhilyanska. All are somewhere in a hurry, and thus violate the rules of the road. 1-car and, without waiting for traffic lights, went to the crossroads street. Zhylianska. And 2-car that was moving on the street. Gorky, at high speed crashed into a 1-y. The accident occurred on the Boulevard Druzhby Narodiv. On the boulevard, the cars were tightly in a huge traffic jam in the direction of the bridge Paton. But the truck driver, despite the size of your vehicle in violation of traffic rules, I decided to unfold. As a result, the fura crashed into two cars that stood in the middle row. There are also so stupid accident, which affected other cars. The accident occurred at the corner of Chervonozoryany Avenue on Povitroflotskyi. The car «Opel», turning to the right, lost control and crashed into a car that stopped at the red light. And this vehicle in violation of 2.10 (in the case of a driver involved in an accident shall immediately stop the vehicle and remain at the scene) continued to move. So, because of the reckless and violators of traffic rules, suffer from other road users. At the intersection of the boulevard and street Perov. Suleiman Stal'skii a car rammed into the side of another. 1st car is moving along the boulevard Perov, violating traffic rules, did not stop before the intersection at the red light. 2nd car, which was on the turn from the boulevard. Perov on the street. Suleiman Stal'skii, not noticing a - a car, goes to the intersection and receives a strong blow in the ribs. Witnessed the accident were GAI staff, who stopped in front of a crossroads. This accident has recorded webcam project "Videoprobki." At Victory Square in the weekend was a head-on collision of two cars. Victory Square has always been a dangerous crossroads, but despite that the drivers will still violate the rules of the road. On weekends most accidents are due to reckless, trying to slip by prohibiting traffic signal. That is exactly the same accident happened again. One car was moving with the prospect of Victory in the direction of Boulevard Taras Shevchenko and meet him in st. Saksaganskogo jumped second car. As a result, head-on collided. From hitting cars badly damaged. The accident occurred at the Moscovskyi avenue in Petrovka metro area. Cars were moving in the direction of Oleny Telihy Street, formed ahead of congestion. All cars reduced speed, but the minibus only at the last moment responded, but it was too late. The driver tried to avoid the blow, but as a result he crashed into a passenger car on his right and then hit the car on the left. Drivers, be careful behind the wheel of his vehicle, observe the rules of the road and such incidents will be less! This accident has fixed the webcam project "Videoprobki." In the day off on a completely empty road was an accident involving three cars. Cars moving on the street Baseina in the direction blvd Lesi Ukrainky. Red light caught fire, but two cars in violation of traffic rules, continued motion. As a result, one of cars rammed the side black passenger car that was moving toward the street Esplanadnoi. This passenger car skidded and crashed it into a white car. Remind drivers to observe traffic rules when traveling intersections. Violating traffic rules, you compromise not only themselves but other road users. Accident with the "police reversal"
At Victory Square collision of two cars. Driver Mazda decided to slip the intersection at a red light. Moreover, the traffic flow has come from the street Saksaganskogo and began to move cars on Victory Avenue. But black Mazda, violating traffic rules, continued movement of the street. Saksaganskogo on the square and got impact away from the car. The impact was quite strong, so that the black vehicle turned around 180 degrees - all known «reversal police». At the crossroads often happen occur similar accident. We recommend to view video of accidents. And we want to remind drivers that would not violate traffic rules, be careful and attentive behind the wheel of his car. Accident happened on the Boulevard Druzhby Narodiv. Micro, moving along the boulevard toward the bridge Paton, stopped at a signal prohibiting. But Zhiguli, which went quite far from the first car, for some reason is not slowed down, and at full speed rammed a black micro. After the severe impact it drifted a few yards ahead. Peremohy Square was a serious accident. At the crossroads is often an accident. Drivers violate traffic rules and get into an accident. At night, when the stream of cars less, the greatest offenders. So this time, one of the drivers who drove on the street Saksaganskogo tried to slip on Victory Avenue, but he went to meet the car on the street Dmitriev. The result was a head-on collision. A year ago webcam project "Videoprobki" recorded at the crossroads similar accidents. For the same reason there was a head-on collision of vehicles. Accident on Chokolivsky Blvd with bus "Neoplan"
Large-scale accidents, in which hit the bus "Neoplan", two cars and three minibuses. The driver of large bus "Neoplan" which moved from the side of the Sevastopol square, lost control, crashed into a minibus that stopped at the stop. Minibuses from a powerful blow drove forward and crashed into a car that stopped at the traffic light. And specifically, minibus crashed into a passenger car "Volkswagen Polo", and that - in the "Niva", "Niva" - in the minibus and minibus in the Bogdan. "Niva" and "Volkswagen" were caught between bus, both cars were seriously damaged. A bus "Neoplan" after a blow to the minibus, drove onto the sidewalk, which brought down two pedestrians and crashed into a fence underpass. As a result of the accident injured 10 people. 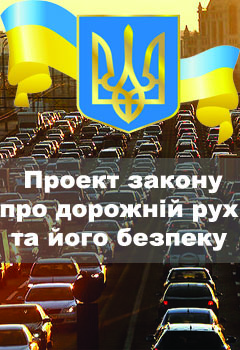 In general, recently in Kiev twice the number of road accidents due to carelessness when drivers are injured pedestrians.